Tuesday's decision inflicts another loss on Makan Delrahim, head of the Justice Department's antitrust division. It could make the department hungrier for a win on the next big merger up for review, the pending T-Mobile-Sprint deal, one analyst says. AT&T beat back another effort by the United States to undo its purchase of Time Warner, cementing an $85 billion deal to help it compete with Netflix and Amazon. The United States Court of Appeals for the District of Columbia said Tuesday that the Justice Department failed to establish that a lower-court judge made a clear error when he rejected the government’s case that AT&T should be blocked from buying Time Warner on antitrust grounds. The department has no plans to seek further review. That ends the Trump administration’s attempt to unravel a tie-up the U.S. said would lead to higher prices for pay-TV subscribers around the country — though it could make the Justice Department hungrier for a win on the next big merger up for review, Bellevue-based T-Mobile US’ pending $26 billion takeover of Sprint, according to one analyst. Tuesday’s decision by a panel of three judges inflicts another loss on Makan Delrahim, head of the Justice Department’s antitrust division, as he tries to get tough on mergers that combine companies in different parts of an industry supply chain. His lawsuit against the takeover, a deal meant to help AT&T stem an exodus of pay-TV subscribers, marked the first time in decades that U.S. antitrust enforcers had gone to trial to stop such a “vertical” merger. The case was the first major merger challenge under President Donald Trump, who vowed to oppose the tie-up during the 2016 election campaign and as president has attacked Time Warner’s CNN for its coverage of him. The litigation turned the merger, announced more than two years ago, into a marathon. T-Mobile’s stock slipped 0.7 percent Tuesday and Sprint fell 1.5 percent. Shares of AT&T — which declined to comment on the Justice Department’s decision not to pursue the case further — inched up 0.3 percent. AT&T attacked the government’s case as riddled with errors. The company said it had no incentive to pull programming from rivals because it would lose revenue as a result. AT&T argued the deal would bring more choice to consumers by letting it feed Time Warner content like HBO and CNN to its mobile, internet and video subscribers and go head to head with Netflix and Amazon. 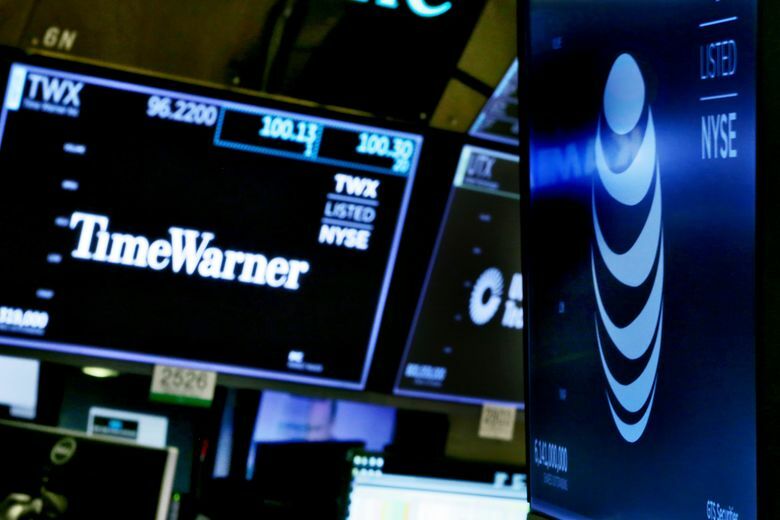 AT&T closed the Time Warner transaction on June 14, two days after Leon’s ruling, agreeing to manage Time Warner’s Turner Broadcasting as a separate business until the end of February and not play a role in setting prices for Turner programming. That agreement expires Thursday.